Derek Dingle has been one of the most influential close-up magicians of the 20th century. He created many outstanding routines that are in use by the leading professionals in our field. 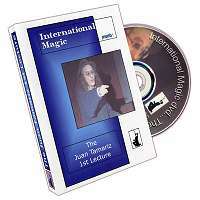 He went from an outstanding amateur to a successful professional and on this DVD you get to see him perform and explain the routines that he regularly used in his professional career. 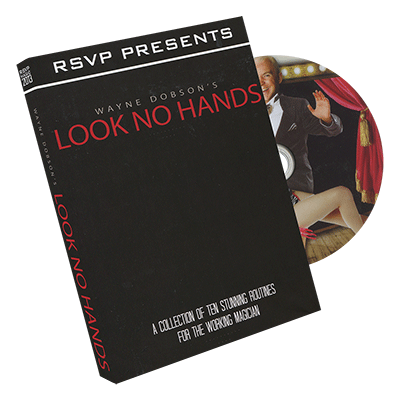 The DVD begins with a live lecture, taped in Sacramento, California in 1998, where he performed and explained his favorite routines. The Derek Dingle Fabulous Jumping Card Trick: Derek's handling for Edward Victor's Eleven Card Trick where the spectator deals eleven cards into your hand but each time you count the cards you only have ten. This is repeated with cards added to the packet and taken away but the total is never as it should be. New Wave Cigarette Through Quarter: A repeat cigarette through quarter routine like no other. After penetrating the center of a borrowed quarter with a cigarette you confess that you switched coins and then you repeat the sequence with the "real" quarter. Silver Quick: A clean coins across routine where four coins vanish from your hand and appear on the spectator's palm and in her clenched fist. The Sympathetic Cards: This is considered the best method for the classic routine where thirteen cards in A-K numerical order are placed in full view in a glass. A second set of cards are removed in a random order from a second deck and placed in a different glass beside the first. Magically the original packet rearranges itself in sympathy to match the order of the random set of cards. Super Card Rise: A comical and simple method for having a selected card rise out of an ordinary un-gimmicked deck of cards. Rainbow Deck: An odd backed card is placed in the middle of the deck as the spectator attempts to select it. When he finally selects a card it turns out to be the only regular card left in the deck as all the others now have odd backs. Derek's Ambitious Card (Performance Only): Used as a closer for his shows and lectures it is the classic effect done the Derek Dingle way with a card to sealed envelope in wallet ending. You will also see him discuss how to make gaffed cards, give tips on perfecting the Pass and teach the many techniques used within the routines. 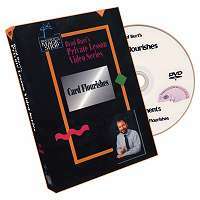 The DVD concludes with Derek Dingle performing on stage with his hilarious Card In Balloon, the classic Crystallized Coins Up Sleeve and the rarely seen Card In Lemon.